Martineau joins Bradley Lalonde and Hugo Roy as the newest group of Stingers to commit to the program out of the QMJHL. The Terrebonne native spent the last four years playing for the Cape Breton Screaming Eagles, serving as team captain this past season. During his time with Cape Breton, the 21-year-old demonstrated a talent for goal scoring, surpassing the 20 goal mark in all but his rookie season. Martineau’s final season of junior hockey was a career year for the young forward, who put up 34 goals and 66 points in 68 games. Listed as both a centre and a winger, Martineau offers the Stingers the same positional versatility just as rookie standout Massimo Carozza did last season. The addition of a high producing centre also helps mitigate the loss of top centre and U Sports MVP, Anthony Beauregard. Martineau is currently playing in the ECHL playoffs with the Fort Wayne Komets. He put up three points in three regular season games and has added eight points in 12 playoff games so far. In the Komets’ five game, first round series, Martineau scored four goals, including the series winner. The five feet, eleven inches forward is one of several additions who will be announced as their respective leagues’ playoffs end in the upcoming weeks. At the time this article was published, Martineau had signed a letter of intent with Concordia. 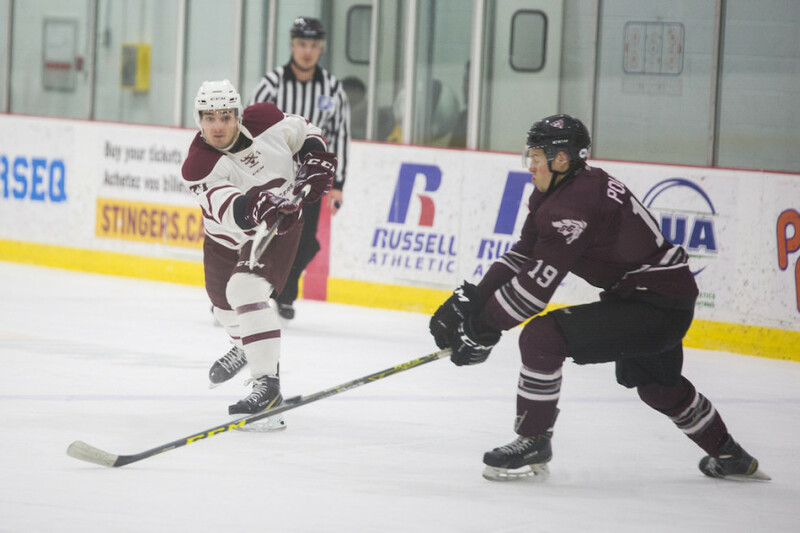 He has since signed a one year professional contract with the American Hockey League’s Laval Rocket, and as a result will not be joining the Stingers for the upcoming season.